Ayisha joined Turnaround for Children in 2016 as Senior Program Officer. She is responsible for supporting the strategic development, management and execution of the program department’s management strategy, with a focus on tool design, staff development and program implementation. 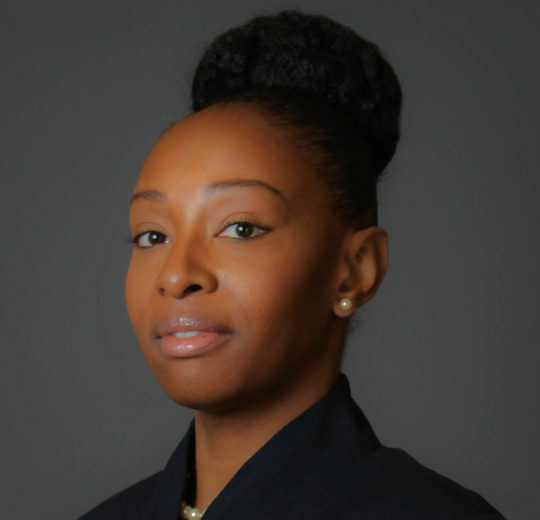 Throughout her 25+ year career, Ayisha has worked in a variety of business sectors with roles focusing on both strategic and operational management. Prior to Turnaround, she spent three years as a client services manager at CASME, a global procurement membership network company located in the United Kingdom. Ayisha has also held positions at Maximus, CORE Education, The Princeton Review and Kaplan Education. Ayisha studied early childhood education at Long Island University. “Marva Collins Way” by Marva Collins. I always dreamed of being a teacher, and this was one of the first books to start me on that path. Collins, founder of the Westside Preparatory School in Chicago, was committed to achieving high academic results for disadvantaged and marginalized learners. Her “no excuses” approach to learning is impactful. I definitely recommend this book to all educators and to anyone interested in this field. I have two, my grandmother and mother. They truly inspired and motived me to always do my best. For as long as I can remember they have always been my personal cheerleaders. Their unconditional and unselfish love, faith, wisdom, encouragement and honesty have molded me into the person I am today.